When you think home bar, is this the first thing that comes to mind? 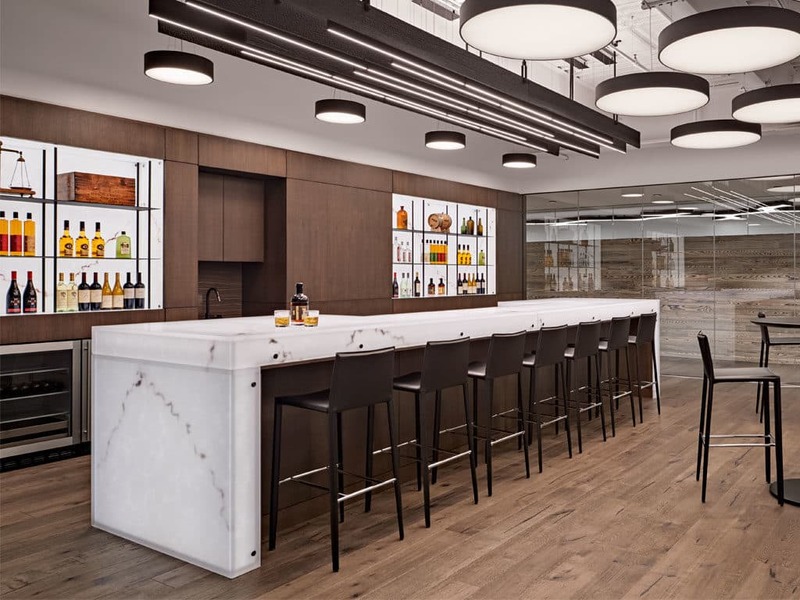 Usually we think of Home bars as something made from custom cabinets or wood material in a somewhat traditional fashion. 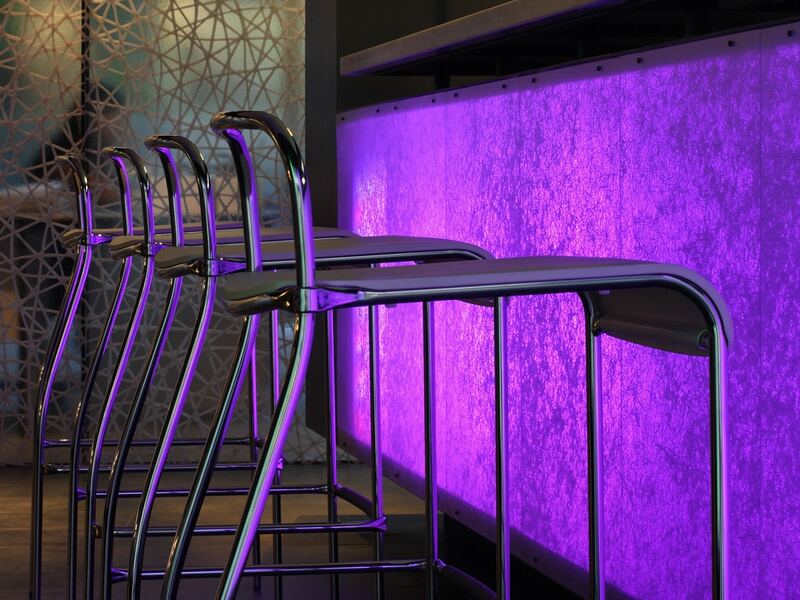 The ever changing world of materials allows designers, like myself, to reimagine what the modern home bar may look like. This type of lighting effect can be achieved in several ways, either by using a colored 3-form panel with white led lights or RGB led lights which allow you to choose several colors with the flip of a switch. Another excellent kitchen design feature is the addition of a custom 3-form light art ceiling fixture. 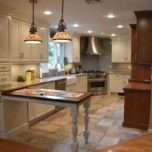 These types of applications require detailed kitchen remodeling planning. This is constructed from the varia ecoresin series. The idea here is to bring a necessary and interesting feature to this expansive space. This idea can be scaled down into smaller fixtures offered by 3-from/light art to better suit the space. 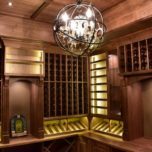 The Chroma countertop in this wine cellar tasting room makes a bold statement with its clean bright lines against the warm wood tones from the floor and surrounding wine cabinetry. The beautiful countertop is made from recycled acrylic, can earn you leed credits and comes in a dizzying amount of colors that are all highly saturated with a few exception like the above and the clear to name a few. 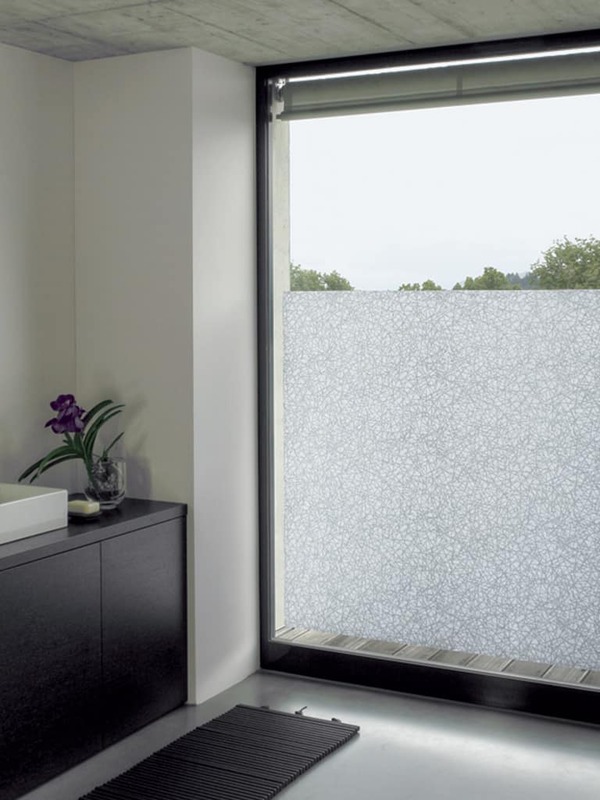 Having your privacy does not have to mean you have to secluded, the addition of this unique privacy film by 3-form, happily named “Gecko” allows you to apply an adhesive backed textile film to your existing glass window or door panels. It’s a perfect solution for kitchen and bath designers to add an interesting architectural element as an alternative to tradition window treatments. 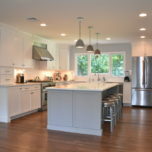 Looking for the perfect kitchen or dining twble to complete your home remodeling project? Sometimes is hard to find exactly what your looking for when shopping for a table, either the size is right and the color is wrong or vise versa. 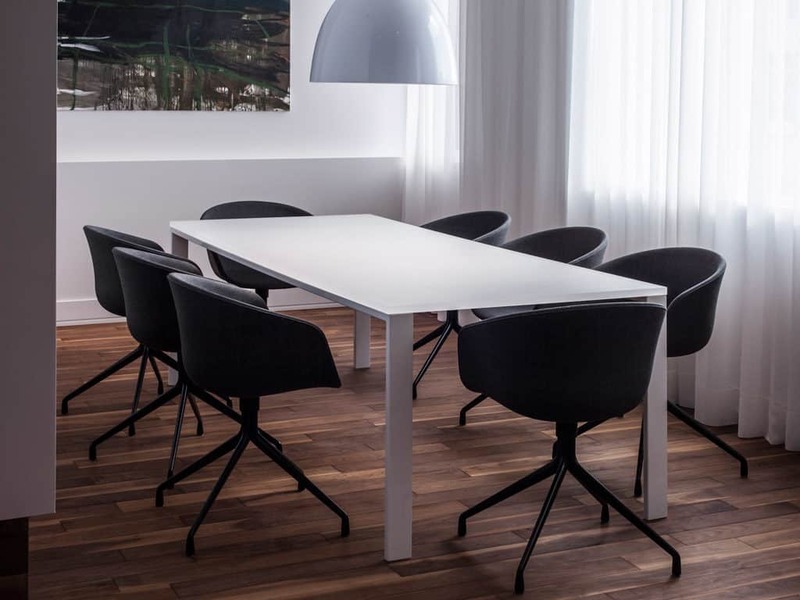 Creating your own custom table is as simple as choosing a 3-form material like the Chroma pictured above and adding a set of custom legs. 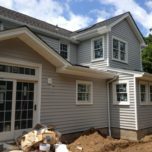 Home remodeling is a fun and exciting process, 3-form keeps a designers imagination running wild with their creations, we hope you have a chance to explore all the options for your next home remodeling project! There are a myriad of choices out there when it comes to countertops, let’s review some of the quartz and granite options available. Long before quartz countertops were on the market, granite countertops were the most popular premium choice and it was very expensive. As you may already know granite countertops are a quarried product that is sourced from all over the world, imported by countertop distributors and fabricators who turn them into beautiful granite countertops. 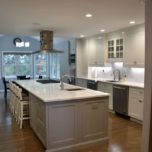 Quartz countertops are a man made product consisting of a natural quartz material that is combined with colors, fillers and binding agents to create a slab good. 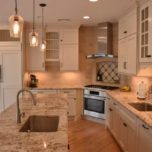 The exact formulation, ratios of filler, color, etc varies by manufactures of the quartz countertops but they are all made in a similar fashion and are typically sold by the slab, whereas granite is sold by the square foot. Quartz countertops price very close to granite countertops on a per square foot basis, as we mentioned earlier granite countertops are primarily sold on a square foot basis, meaning you pay for exactly what you need and quartz countertops are primarily sold on a per slab basis, meaning you purchase an entire slab a for your countertops, the shape you need is cut out of it and the rest is considered waste. Depending on what’s left over you could see a significant increase in price for the quartz countertops vs granite. Granite countertops can be figured out on s per square foot basis with a good degree of certainty. Quartz countertops should be quoted for the exact plan layout. Some of the best quartz countertop prices can be found at fabricators who know how to control their waste and do a large volume of quartz countertops vs granite. 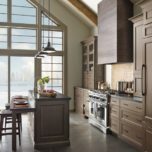 Armed with this knowledge you can shop confidently for the kitchen countertop material that’s right for you and your home. You may have heard plenty of information on how durable quartz countertops are vs granite and that might have something to do with fact that major manufactures are carefully positioning and marketing their products. Does that mean quartz countertops vs Granite is more durable? Well, I’d argue that the granite countertops simply lack an advocate. 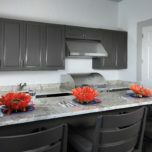 This is partly due to how granite is acquired and sold, these materials are purchased by local kitchen countertop fabricators and distributors who all do their own importing, no focused marketing seems to exists for the product. There may be a good reason why this does not exist, granite has been around forever, as a matter of fact when the earth was being formed it went thru many cosmic events, the earth was forming and breaking apart repeatedly until an incredibly durable surface was formed, that surface is granite. 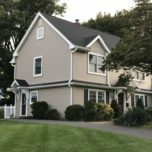 Granite has been used to clad our buildings and to honor loved ones as monuments, exposed to the elements for hundreds of years, granite has durability hands down. I think it’s too soon the tell if quartz countertops vs granite is equal in terms of durability. For the limited amount of time of the market, it appears that quartz countertops vs granite is holding its own in terms of performance. Now that you have a better understanding of what’s out there, how much it may cost and how it may perform, what are you left with? Deciding on color and pattern. Quartz countertops are manufactured with multiple colors (7-10 on average) vs granite countertops that have hundreds of thousands of colors resulting in a unique piece that is not replicated anywhere. This could be a good thing or a bad thing depending on what you’re trying to achieve, if you need a definite color and/or pattern this is where quartz countertops vs granite has a real advantage. In the world of granite there is nothing that looks like a marble countertop, granite countertop composition is variegated and a bit course in its appearance. The quartz countertop manufacturers have done an excellent job of creating a marble look that is durable enough for the kitchen. So if you want a marble look in the kitchen, quartz countertops are your go to solution. The same could be true for a bathroom countertop if it’s s high traffic area or primarily used by younger members of the family. Marble countertops are best used in a master bath or powder room since the are much more susceptible to damage. As a final note, keep in mind that natural stone products can be polished and restored to a like new condition over the life of the product, the same cannot be said for the engineered products.